To Innovate, Demonstrate, Enable and Promote community level drinking water solutions, for creating affordable access to safe drinking water in under-served areas. On a typical summer day in a slum there is a sense of expectation and inactivity waiting for the water tanker to come, and the moment it arrives the inactivity suddenly turns into chaos and mayhem with the dwellers fighting to get their fair share of water. The old, the infirm, the disabled and the children are in no position to win this water battle and with no other alternate source generally return home dejected and thirsty. Adding to the woes is their children falling sick at least once a month, mainly from Diarrhea, Vomiting, Typhoid or Cholera. With the medical expenses mounting up to $ 10-12 per month, it becomes unaffordable for a 6 member household with an average monthly income of $ 150. Keeping in mind the challenge of provide safe drinking water to slum dwellers in a consistent, reliable manner, Piramal Sarvajal pioneered the Hub & Spokes service model with cutting edge information layering / IOT as its inbuilt feature. 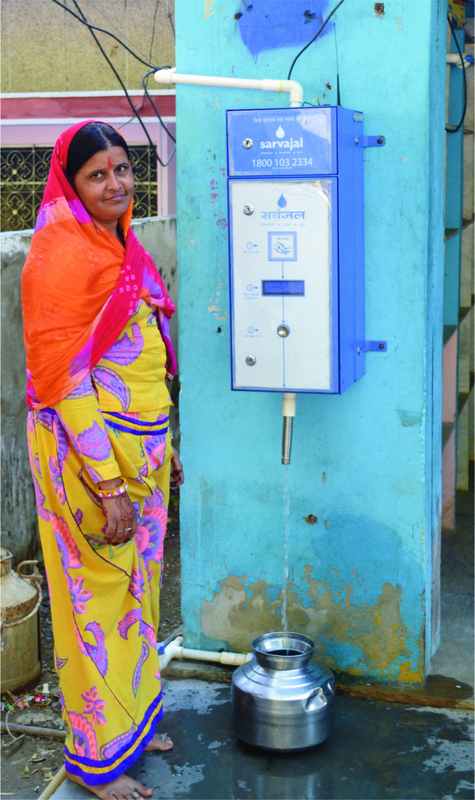 This model consists of a localized purification unit and a network of water ATM units installed at multiple locations within the slum colony. 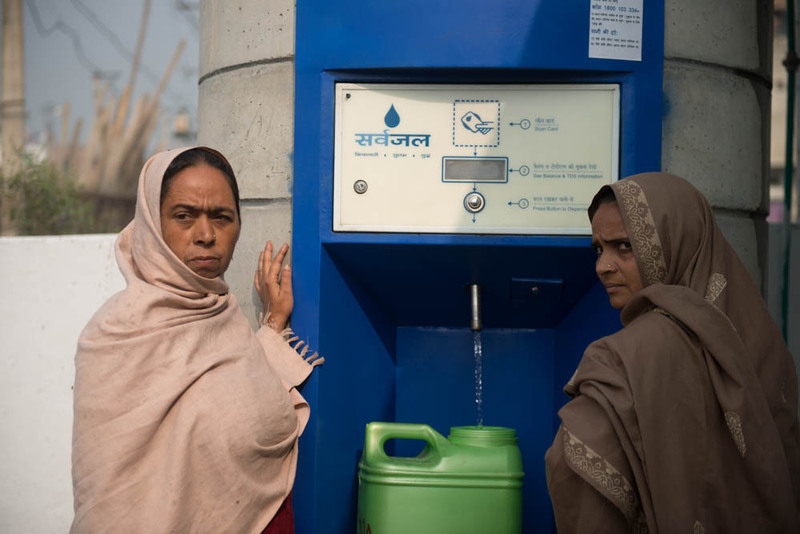 A custom designed water carrying vehicle is used to transfer purified water from the purification plant to these ATMs. 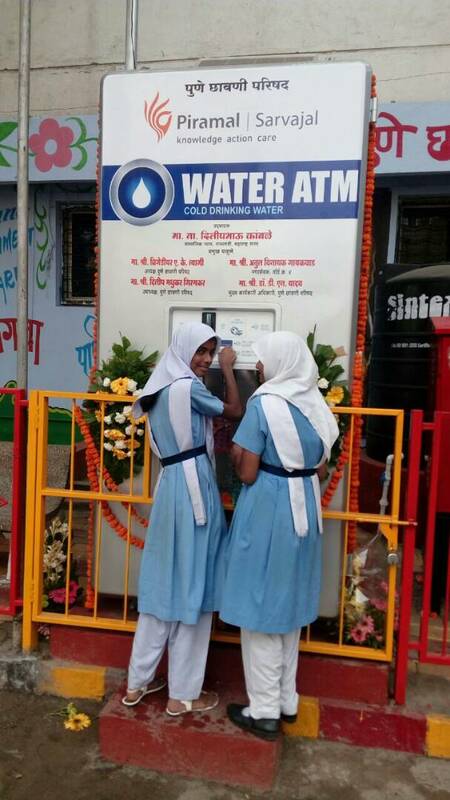 These solar-powered, cloud-connected automated water vending devices fitted with a series of sensors and real time online monitoring tools ensure that every transaction is tracked for quality control and price transparency. The 24x7 service availability not only does away with the consumer’s need to wait in queues for long hours but also ensures that water is available at their convenience in flexible dispensing quantities. We intend to promote such scalable and sustainable models that benefit the local community with the government and municipal bodies. And towards this end we welcome like-minded people to support our endeavours in delivering quality accountable and operationally transparent decentralized drinking water solutions in urban spaces. Address: Piramal Water Private Limited, Chandan Bungalow, Opp. Paritosh Tower, Nr. Darpana Academy, Usmanpura, Ahmedabad - 380 013, Gujarat, India.